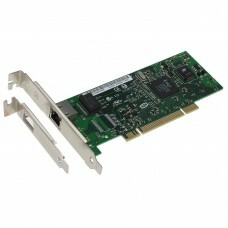 Features and Specifications : Supports 64- or 32-bit PCI-X 1.0 or PCI 2.2 buses Support for most.. 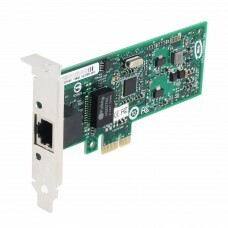 Features and Specifications : Inel 82545E chipset Comes with 1 standard bracket and 1 low profil..
General Features Single-Lane (x1) PCI-Express with transfer rate 2.5Gb/s Full Duplex channel ..
SEDNA - Se-PCIE-LAN-GIGA-BCM Broadcom BCM5721 PCI Express gigabit network card for server Specifi..
Main Features : Intel GbE LAN Powerville I350-AM4 chip Energy-efficient design Gigabit perf.. 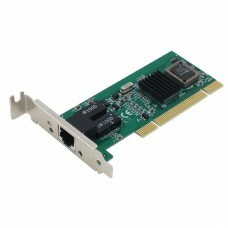 Specifications and Features : Comes with 1 standard bracket and 1 low profile bracket PCIe v1..
General Features The SE-PCI-LAN-GIGA Network Interface Card is a cost-effective 1000/100/10Mbps ..